In 2018, analytica will celebrate its 50th anniversary. 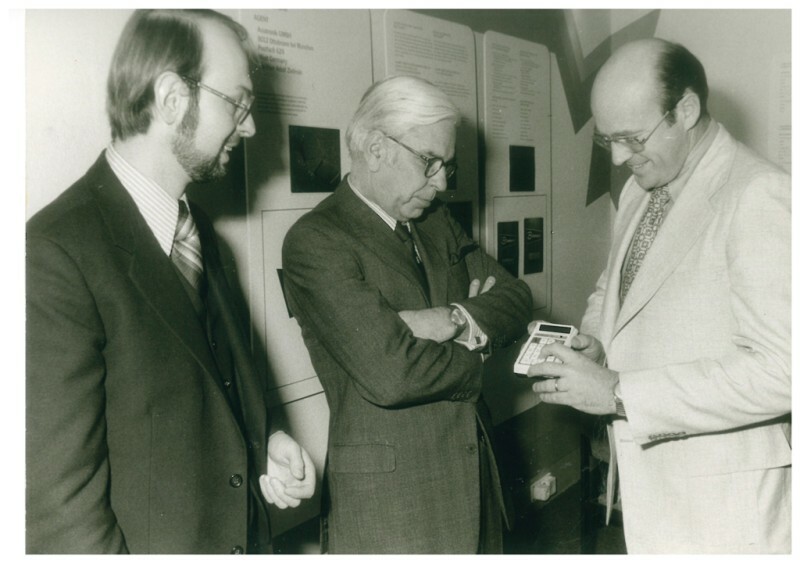 Since 1968 it has been accompanying the development of chemical analytics and bioanalytics. And more: It stimulates the transfer of technology and expertise, as it brings together equipment manufacturers and laboratory analysts, scientists and users. Analytica has thus been driving the progress of analytics for half a century by now. The next analytica will take place from April 10th to 13th, 2018, on the fairgrounds of Messe München. One look back shows how fundamentally the industry has changed since 1968: When the first analytica took place, many laboratory devices still had analogue displays. There were no computers for automatic data collection, no high performance liquid chromatography (HPLC), and no coupling of gas chromatographs with mass spectrometers yet. Bioanalysts were not able to sequence genes yet. But many ideas were buzzing around. Undoubtedly, the industry needed a meeting place to exchange, to drive new developments, and to keep abreast of the latest developments. 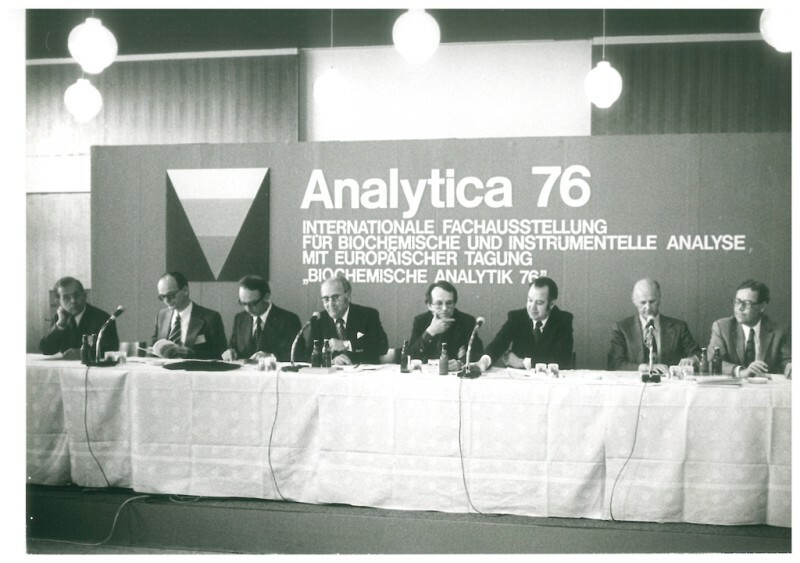 Thus, the very premiere of analytica in April 1968 was already a complete success. 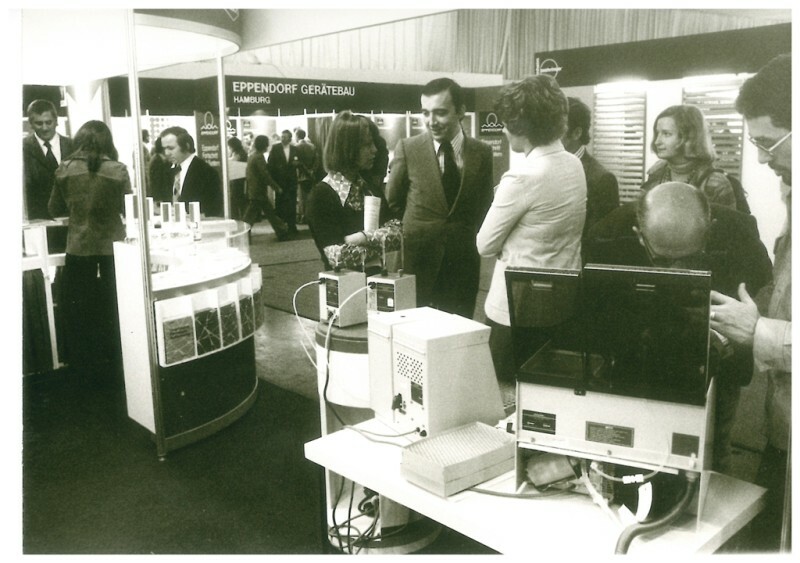 5,000 visitors from 24 countries and 90 exhibitors from ten European countries met in Munich from April 29 to May 2, 1968, at the first “ANALYTICA—International Specialist Exhibition for Biochemical Analysis” (or in the German original: „ANALYTICA Internationale Fachausstellung für biochemische Analysen“), which covered a total area of 5,000 square meters (1¼ acres) on the old trade fair grounds at the Theresienwiese in Munich (widely known as the location of the Oktoberfest). 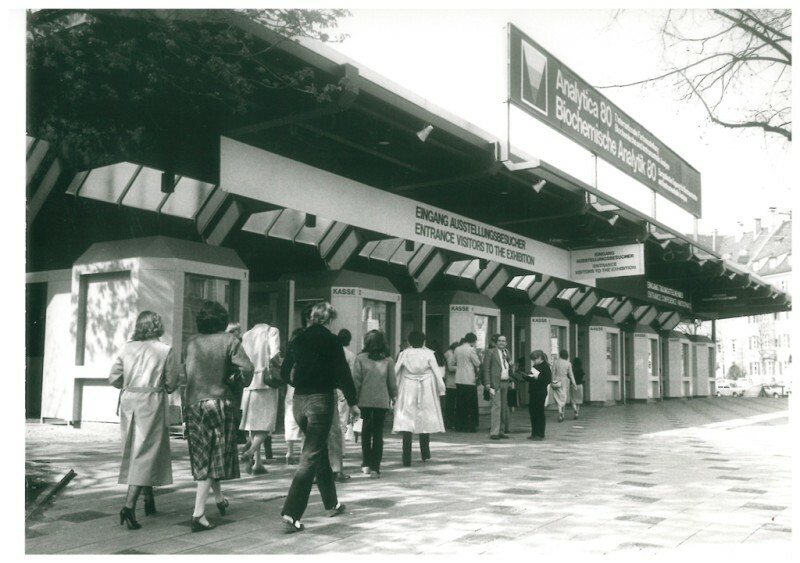 Quickly the decision was made: The new trade fair was going to be held every two years. Four years after the launch, it had already increased its visitor number to 9,400 and by 1978 the number was approaching 20,000. Today, analytica has not lost any of its attractiveness: Analytica 2016 welcomed 35,002 visitors from 119 nations. Analytica’s overwhelming success is also linked to the fact that it has always been more than just an exhibition of equipment. From the very beginning, concomitantly with each trade fair a scientific congress took place, first the “Tagung Biochemische Analytik”, and since 1994 the newly launched analytica conference covering all aspects from analytical chemistry through bioanalytics to clinical chemistry and diagnostics. In the anniversary year, scientists, entrepreneurs and users from all over the world are once more going to meet at the leading international trade fair in Munich. From April 10 to 13, 2018, the 26th analytica will open its doors to celebrate the 50th anniversary with numerous exhibitor novelties and sources of inspiration for the laboratories of tomorrow. Analytica is the only trade fair in the world that covers the value creation chain in the laboratory in its entire depth and width. In addition, analytica conference 2018 once more promises scientific highlights. The lectures will cover the ground from basic research to application in almost all areas: from material analysis through bioanalysis and food analysis to pharmaceutical analysis. With the Live Labs, special shows and the forum program, the supporting program of analytica 2018 will likewise address current trends and topics in the industry.